Patch 0.11.2.0 will arrive tomorrow, Thursday, March 23rd, at 15:00 CET (7 AM PDT / 10 AM EDT). During the patching process the servers will be down, and the whole process will take up to 1 hour. You can view a teaser and an explanation of the upcoming M1 changes here. Patch 0.11.1.0 is scheduled for the 28th February and will include bug fixes and champion updates. Servers will have a planned downtime on 15:00 CET (6:00 AM PST / 9:00 AM EST), and the process is expected to take up to 1 hour. The M1 gameplay changes originally planned for this patch have been delayed by a minimum of two weeks due to a critical team member being out of commission for nearly a month. 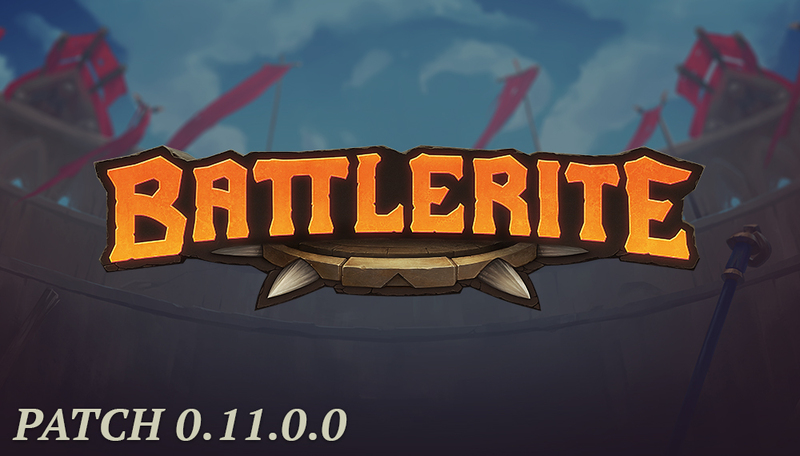 As a highly-valued Battlerite player, we wanted to make sure you were notified as soon as possible. We realise these are very anticipated changes, so we have decided to showcase a small teaser of the changes in Monday’s dev blog. We sincerely apologize for the inconvenience. These gameplay changes are our highest priority right now and our dedicated team is working hard on improving your Battlerite experience. The Emperor Scorpion (left) will be available to winners of various tournaments. 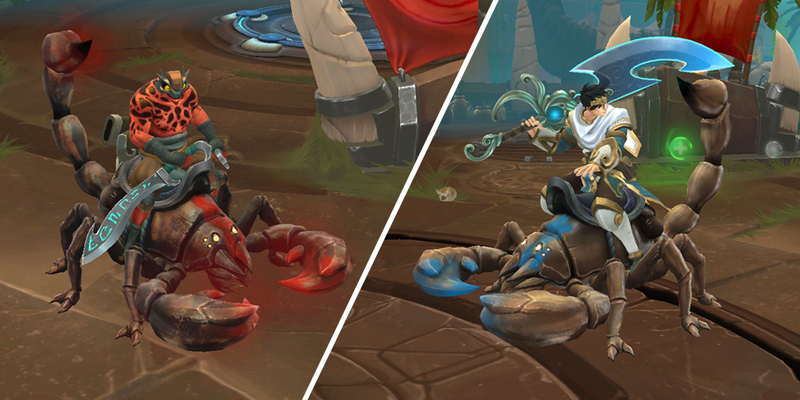 The Deathstalker Scorpion (right) can be obtained via giveaways. “Air time” added to the tooltips of several mobility abilities. We have decided to postpone Patch 0.11 due to technical issues. It will instead arrive on Wednesday, February 15th. The servers will go down for patching at 15:00 CET (9:00 AM EST / 6:00 AM PST). The patching process will take approximately 2 hours. As we have the Enter the Arena event coming up we have decided to split the mid February patch in two. This first patch brings the new champion along with the next season and some additional changes and fixes; you can view details below. The second patch, Patch 0.11.1, is planned to arrive February 28th. We are experimenting with some bigger changes for it, with the primary goal to make M1’s more exciting to use while also allowing for M1 exchanges to be more interesting and thrilling. This involves changes to both movement speed, damage, cast times and cooldowns/charges. We have concentrated on looking at the M1s of our ranged Champions first, but are also trying a few things out with our melee Champions. We are still experimenting with this and at the time of writing do not have definite details to share, so you will have to wait for more detailed information in the patch notes for Patch 0.11.1.0. Patch 0.11.1.0 will also bring other gameplay changes, along with some new mounts and additional changes and fixes. Raigon is the former crown prince of Quna. He was a well-respected figure among the kingdom’s warriors, until he was exiled due to the manipulations of Pestilus. For now, the arena serves as a decent place to find work and set the wheels in motion for his retaliation. 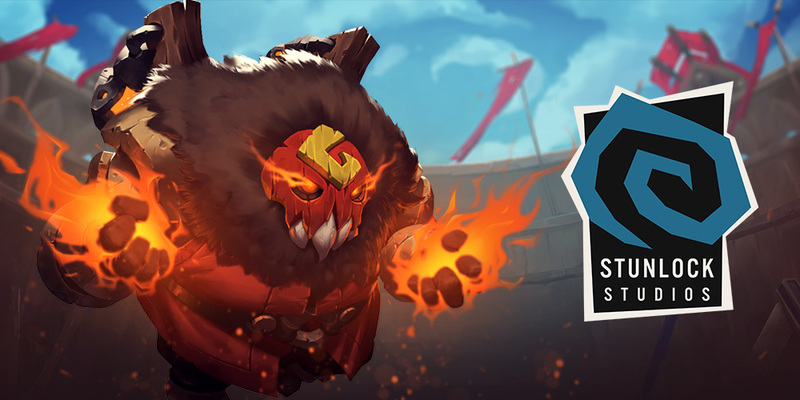 In the next coming months we will be working on preparing Battlerite for Free-To-Play launch. We need to improve some core areas of the Battlerite experience before it is ready for the influx of new players at launch. We want to open up about these changes with you so you have the opportunity to provide feedback as we progress. We want to ensure the first experience of Battlerite is as optimal and fun as possible. Right now our analysis shows players aren’t quite ready for PvP after the tutorial and Vs Ai. Improving this area will help players find their first PvP games more rewarding. One possibility we’re looking at is introducing 1v1 matches. This would include PvP duels as well as vs AI matches and we’re considering a campaign mode to enhance the new user experience. We are also looking at improving the existing AI and adding lighter tutorial segments where additional information about playing Battlerite can be introduced. By improving the new player experience we will improve our retention which will encourage more people to play Battlerite, adding to the matchmaking experience as a whole. Our statistics show that players have started to play in shorter sessions. We’re now looking at introducing other ways to play Battlerite which offer more variety and breathing room. We are considering to add additional game modes with more fun objectives or rules, where the pace feels significantly different to the main mode. Game modes is something we have heavily experimented with. At the moment we have 2-3 strong game modes that are being tested. The current user interface (UI) was designed in early Alpha and has remained more or less unchanged. We want to create a new UI that is reflective of the in-game Battlerite experience and allows more flexibility for new features to be implemented in the future. To solve this, we’ve started work on a user interface overhaul and an improved look that communicates the fast-paced brawling action of Battlerite. This includes (although not limited to) looking at a new menu navigation, new character selection screen, new art styling, improved friends/social system, improved Odeum/replays integration and improving the pre/post match experience as a whole. Our plan is to use the current UI as a testing ground for new features and backend improvements until the new UI is ready for implementation. 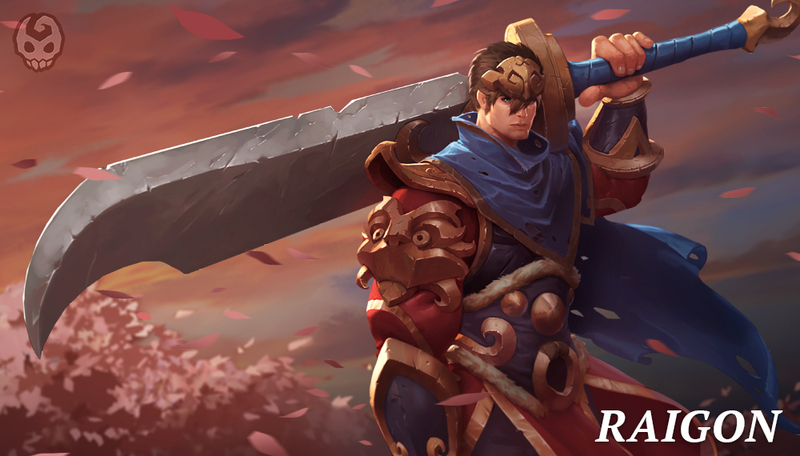 Before the Free-To-Play release we will be looking to push the gameplay of Battlerite a step further. Besides continually looking at the Battlerites of our champions, we are also experimenting with the core mechanics. We are looking at mechanics that are applicable to all champions as well as mechanics that are specific to a champion. Another area we are looking at is the mechanics associated to the maps, as well as the maps themselves. We have detailed what we are currently trying out below. Pushing the overall quality and depth of Battlerite is our priority in preparing for the Free-To-Play release. You can expect new champions and content at a slightly slower pace as we use our time in Early Access to experiment with the core mechanics of the game.